I’ve been prepping and spinning fibre like a mad person lately. As a result, I have not done much in the way of knitting or crocheting. That’s ok though because I have more yarn to play with later. First up is the Sweet Georgia yarn. It was not very fun for me to spin. 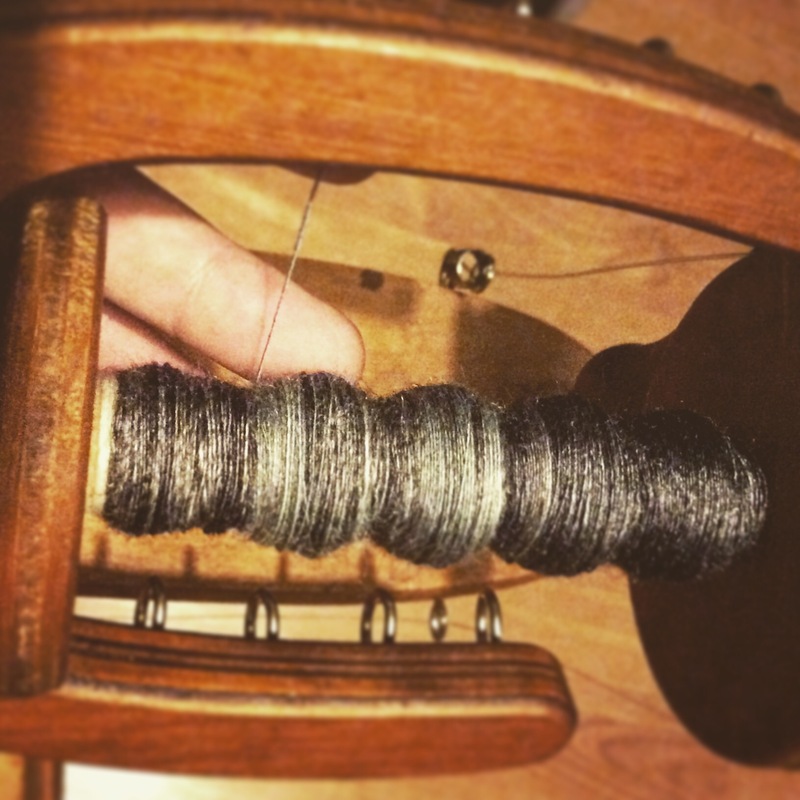 I’m not going to pretend like I’m a great spinner, but it was a fight all the way to the end with this fibre. It has bamboo and nylon in it, thus it is quite slippery. The main problem for me, however, was the feeling of nylon. I did not care for it. I do like the end result, but it will be a yarn to make a present with. I don’t want it. Next up is the alpaca fibre. 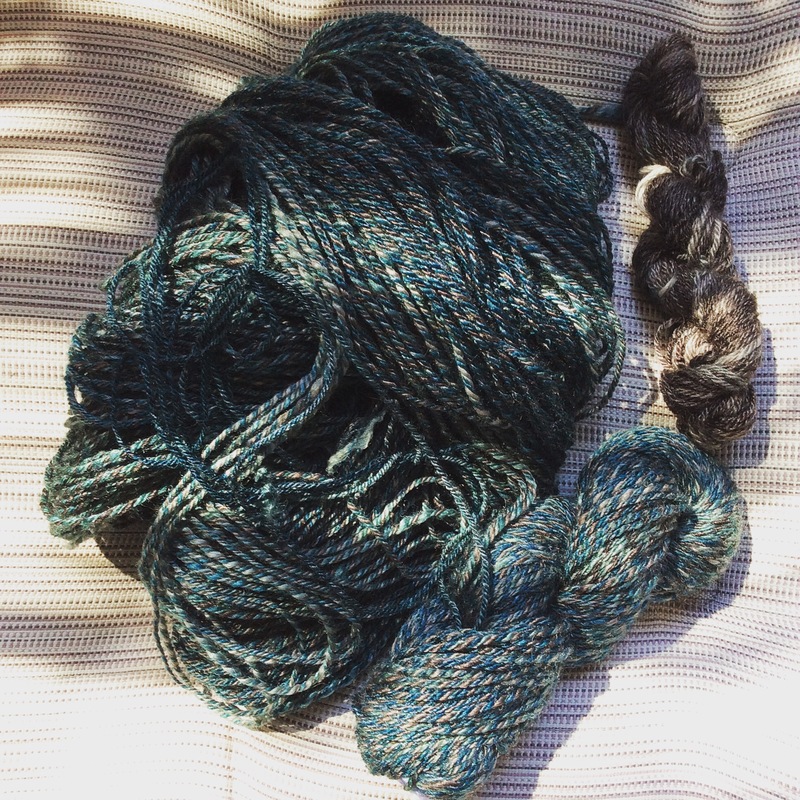 I haven’t yet made a proper skein out of it. 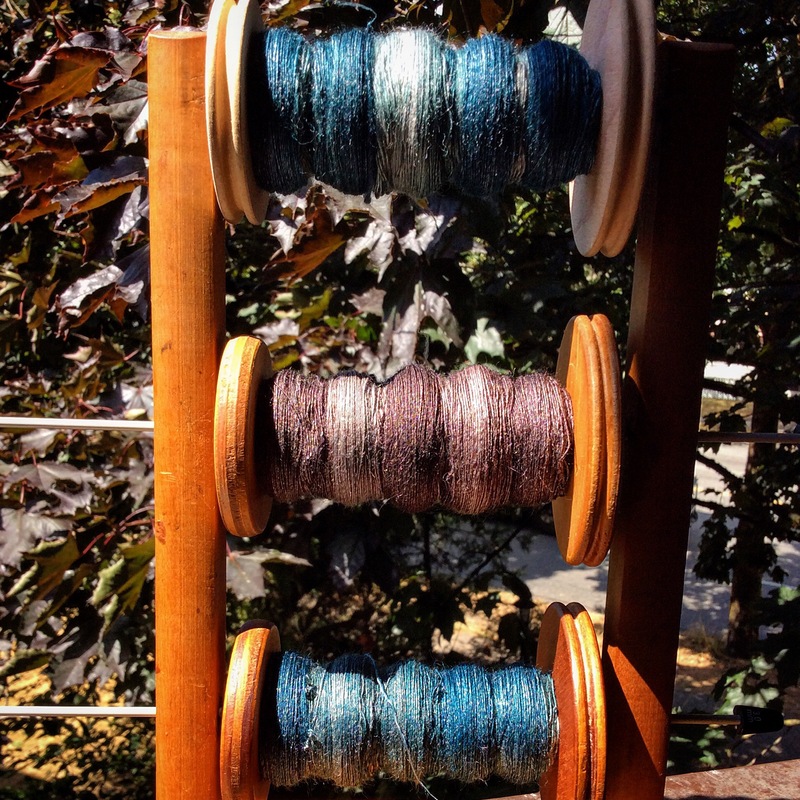 I have spun up bits and dyed them just to see what it will look like. 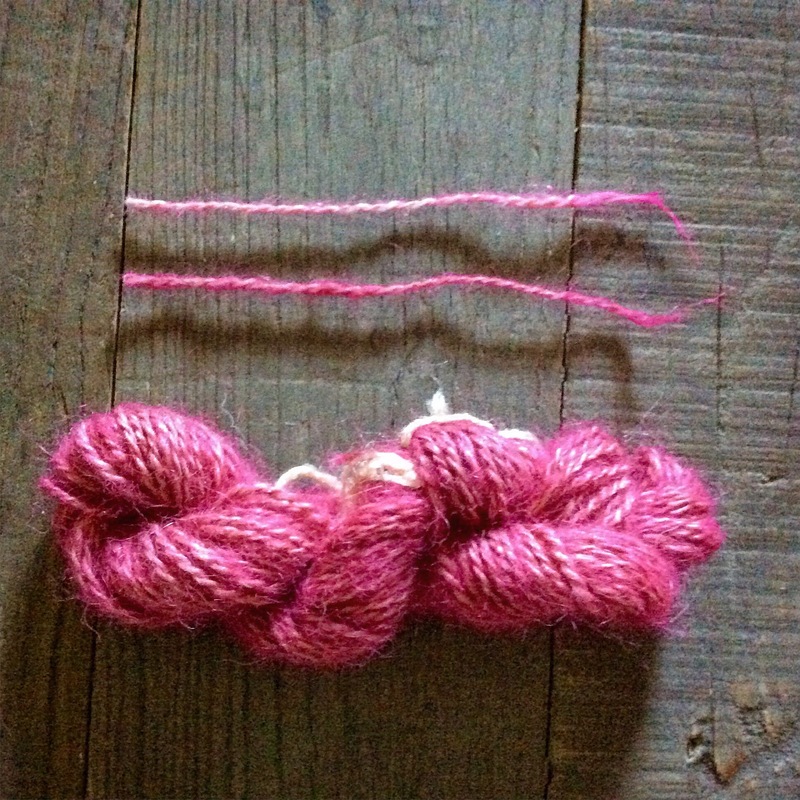 So far I’ve been getting very rustic type of yarn. My main concern is how much it sheds when not knitted up and how scratchy it is when it is knitted up. But yarns like that have a place as well in life. I’m hoping I can come up with a way of dealing with it to get softer results.